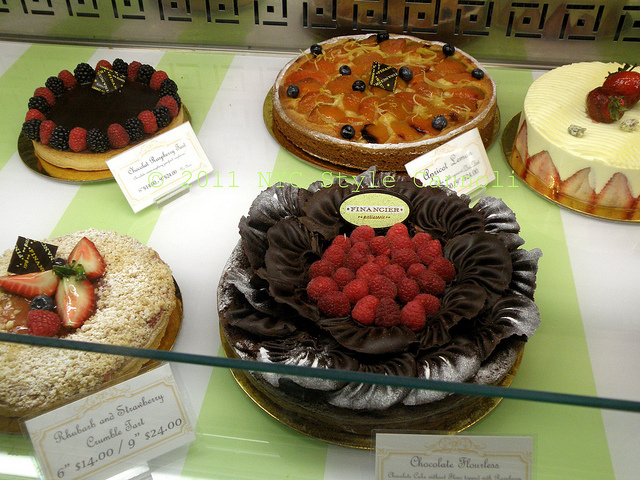 Photo Gallery Thursday "Financier Patisserie"
One of my favorite places, Financier Patisserie ......now has nine locations in the city, a listing can be found HERE ...it is a great place for breakfast, lunch or a light dinner. And of course a latte and dessert as well. I love to look at pastry when it is a work of art as well. Agh! I could eat my screen when you put these photos on! Stop it! Stop it! I love it! Looks delicious! Thanks for sharing this. It is my birthday coming up and I would have no qualms about sampling everything!